PSAC members from coast-to-coast-to-coast who are covered under four of the collective agreements with Treasury Board will be gathering in Ottawa, March 26-29, 2018 to elect bargaining teams and discuss proposals for the upcoming round of bargaining. Over 100,000 federal public service workers are covered under the PA, TC, SV, and EB collective agreements. 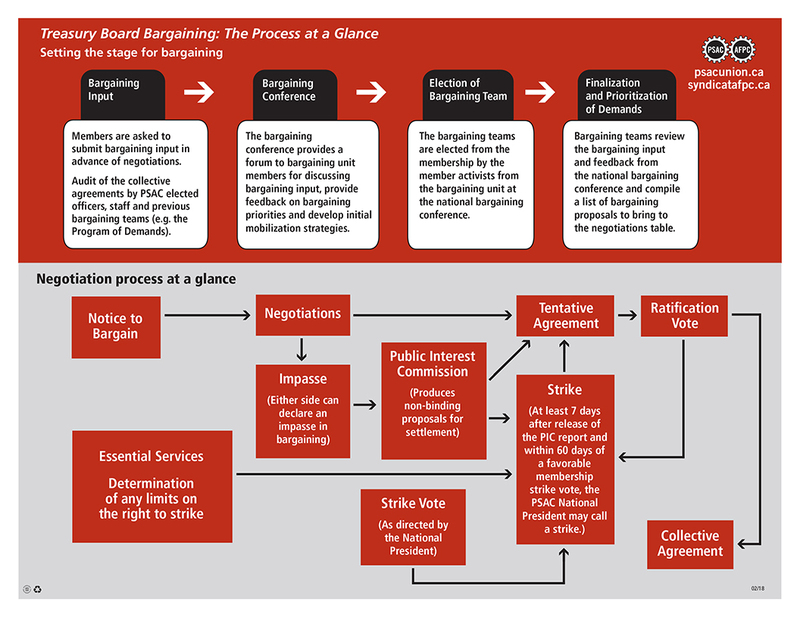 PSAC will begin negotiating new collective agreements for all four groups shortly after the March bargaining conference. The chart below briefly outlines the complete process.